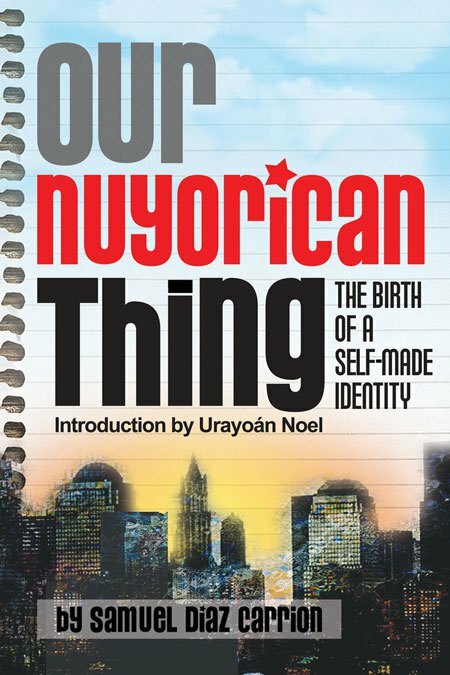 2Leaf Press author Samuel Diaz Carrion is having his Launch Party for his recently released book, Our Nuyorican Thing, The Birth of a Self-Made Identity on June 29th at 2:00-3:30PM at Taller Boricua in New York City. Poet, writer and activist Diaz Carrion explores the question, “What is a Nuyorican”? and more in Our Nuyorican Thing. What started out as blog correspondence for the Nuyorican Poets Cafe’s website (2001-2004), quickly turned into a cultural exchange about the Cafe and Puerto Rican culture. Our Nuyorican Thing is a compendium of those blog entries and emails that also include poetry and short prose through the eyes of Diaz Carrion, a “Puerto Rican Indiana Jones” who has quietly studied “the trade route of a new language . . . collecting poetry and stories as the artifacts of the day.” This collection is riveting, informative and delightful, and will satisfy any reader with a cultural appetite. Our Nuyorican Thing’s introduction byPuerto Rican poet, performer, professor, and polemicist, Urayoán Noel. Please join Samuel Diaz Carrion as he shares his prose and poetry as he enlightens us about the Nuyorican experience.. It will be a night of great poetry, good conversations, and a great way to spend a Sunday afternoon. This event will be hosted by legendary Nuyorican poet, Jesús Papoleto Meléndez. Download the diaz-book-party-flyer and pass it around!